One of the great advantages when you trade on GTOptions is that we have a constantly expanding asset index at your disposal. GT Options asset index is emphatically one of the largest in the market where you will find our complete listing of stocks, currency pairs, indices and commodities. When you think about diversity, only our asset index tops the list. 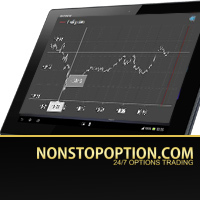 We give our clients the trading platform to trade binary options on a variety of assets. What’s more, most of these assets are available for trading, twenty four hours a day, seven days a week. Our wide-ranging GT Options asset index enables traders to diversify their trades, giving them total access to internationally leading assets from different markets worldwide. GTOptions aims to empower its traders with the knowledge on binary options so they can maximize their trades and achieve their financial goals. To that end, we made our asset index as concise and descriptive as possible to give you brief information about the asset that you wish to trade. GTOptions asset index is available in four main categories: the indices, stocks, commodities and Forex pairs, all of which came from different markets across the world. Indices – So what are indices? Basically, it’s a group of stocks traded on the major global markets. When you trade GTOptions, you will immediately be introduced to a wide selection of world’s leading indices. The most traded indices are also included in our list, namely FTSE 100, Dow Jones, NASDAQ, S&P 500, Nikkei 225 and CAC 40 Future. Stocks – GTOptions showcases an impressive range of European, Asian and American stocks for you to invest with. From technology giants such as Apple, Google, IBM, Sony and Microsoft to the leaders of banking finance like JPMorgan Chase, Barclays PLC and Societe Generale, our platform got it all for you! Commodities – Are you a fan of coffee? Or gold perhaps? At GTOptions, we’d love to expand our offerings into commodities to increase your flexibility in trading and uplift your earning potential. Precious metals like gold and silver are always the top-traded commodities for most traders. But we’ve added another lucrative metal that will certainly get you all fired up – Platinum options are now available for trading! With platinum options, you’ve got more ways to profit from the commodity trading market. Currency pairs (or Forex pairs) – GTOptions prides itself on its all-encompassing, breathtaking selection of currency pairs. We give our traders the opportunity to trade on some of the world’s leading currency trading. 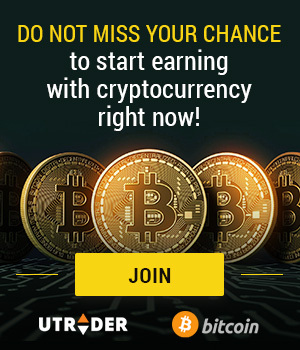 It’s one of the in-demand assets in the trading arena as it offers rewarding returns on investments if your trade is in-the-money. Most of the pairs come from the major currencies in the market, including the US Dollar, British Pound, Euro, Japanese Yen, Australian Dollar, Canadian Dollar, and Swiss Franc. We also have Forex pairs from the emerging markets like Norwegian Krone, Turkish Lira, South African Rand, Mexican Peso and Russian Ruble. Having a well-diversified asset collection such as GT Options asset index provides traders with significant investment opportunities. Futures trading on the leading binary options trading platform in combination with our asset categories paves the way for financial success. What are you waiting for? Create an account with GTOptions now.